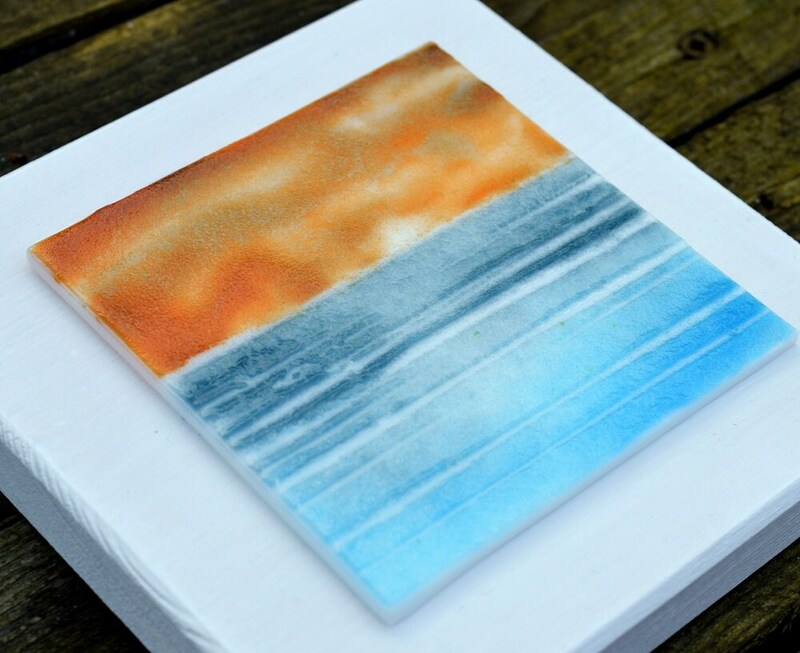 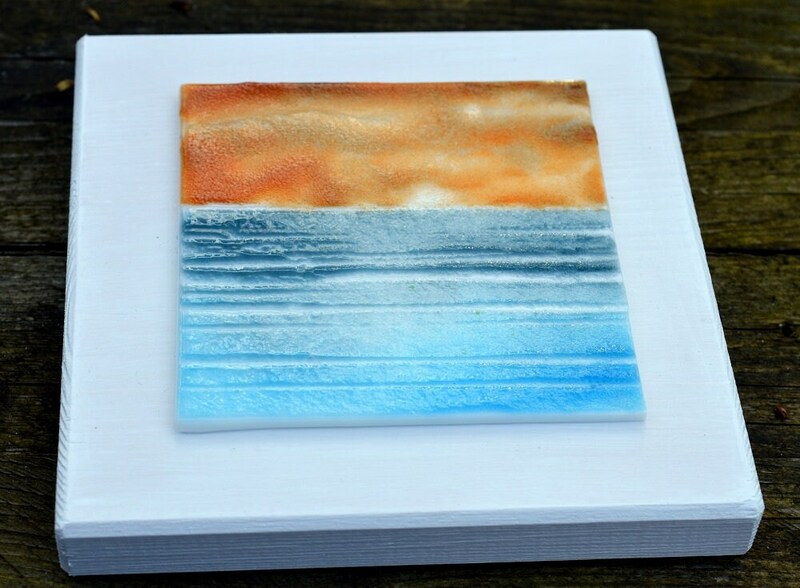 Handmade fused glass beach picture mounted on wooden panel. 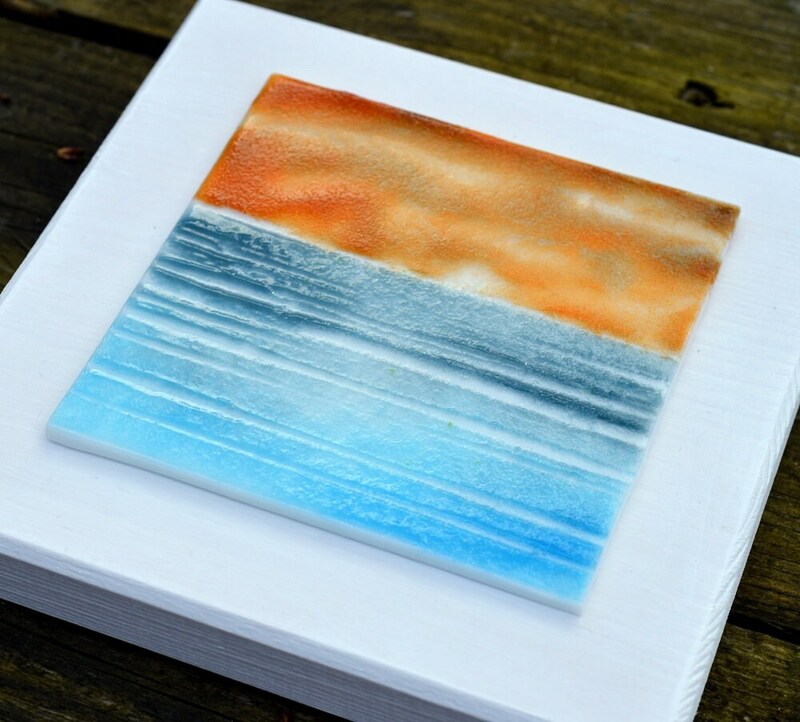 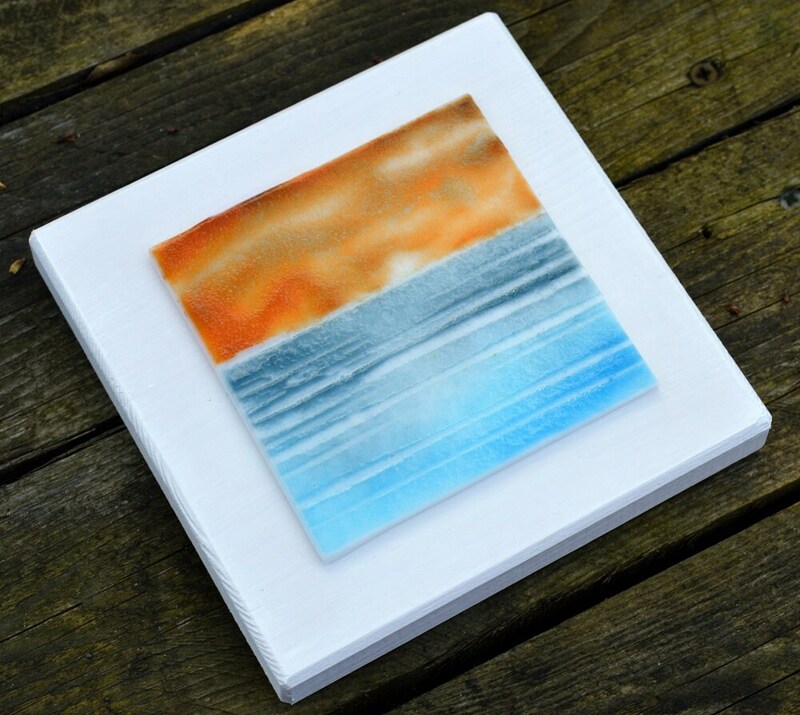 Summery beach scene created using powdered glass on white background. 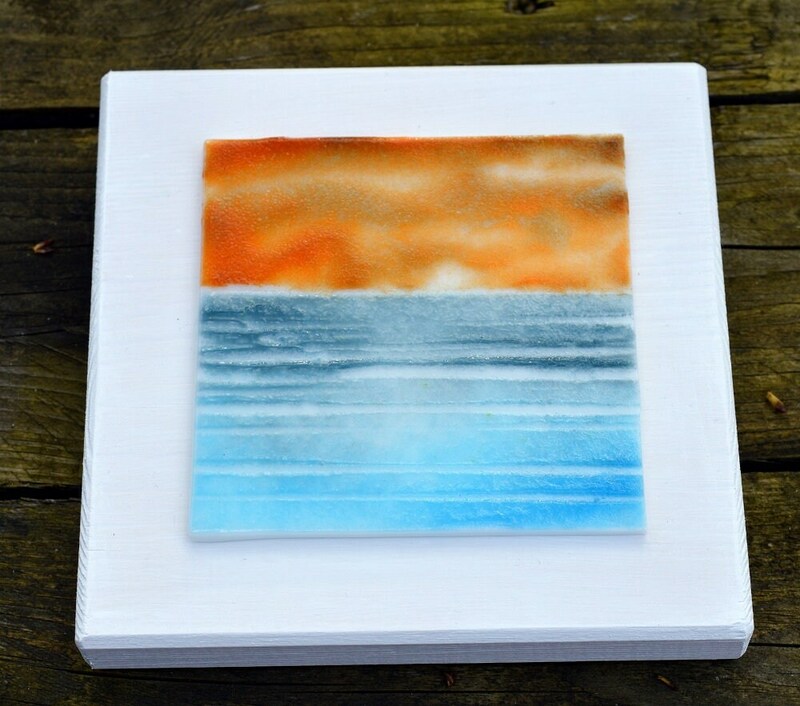 One of a kind fired in a kiln to still retain texture then mounted onto a whitewashed pine mount with metal keyhole hanging fixture on back.